On Saturday, I went to see Interstellar at the London BFI IMAX. I wouldn’t usually be so extravagant; my usual cinema trips are on 2-for-1 Orange Wednesdays. But I felt Interstellar was worth seeing in all its IMAX high resolution glory – and it definitely was. The film, directed by Christopher Nolan, is an epic masterpiece describing the journey of Cooper (Matthew McConaughey), a pilot-turned farmer-turned pilot again out of our galaxy in search of a new home for humans. The Earth is blighted by, well, blight, and the human race is starving. It paints a grim picture of our potential future here on Earth, and it seems entirely plausible. The black hole featured in Interstellar. Equations from physicist Kip Thorne were used to model the lensing of light around the black hole. Interstellar did an excellent job of using physics. This should be expected – the filmmakers worked with prominent theorist Kip Thorne. Thorne has worked on all those delicious-sounding areas of cosmology that I wish I had the brains for – black holes, wormholes, quantum gravity, gravitational waves, relativistic stars, etc. 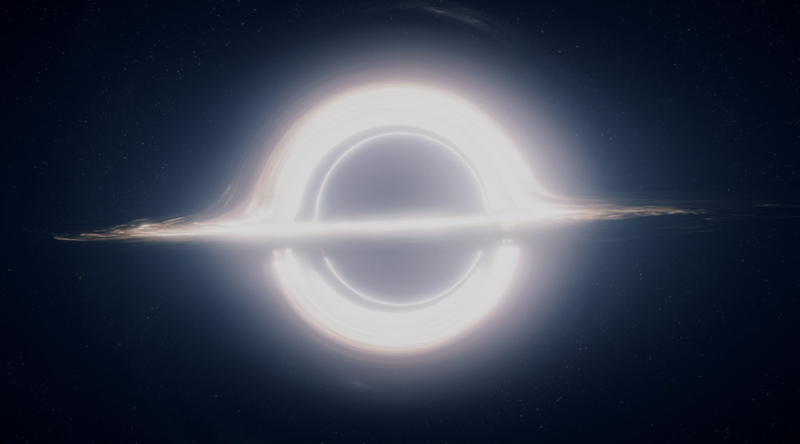 Genuine equations were used to visualise the black hole and wormhole featured in Interstellar – a fact that the majority of the audience would not know or particularly care about, but satisfies physicists. There is something to be said for not straying too far from real science in films when we live in a world plagued by quack-science that has tarred the word quantum (for examples, just search for quantum healing, or note that searching for quantum crystals brings up a site for buying “quantum balance crystals” before it brings up anything related to quantum mechanics and solid-state physics). I was surprised to find posts on the internet “explaining” Interstellar. The film wrapped everything up nicely in my opinion. But most people haven’t done a course in General Relativity! I don’t pretend to be any sort of expert, it was 2 years ago and I can barely remember the maths but I do know the basic concept of gravitational time dilation. It is this, it seems, that was confusing people – how time was passing at a different rate for those on Earth and those in space. I don’t want to give away any spoilers, but Cooper ends up close to a black hole (aptly named “Gargantua”), where time runs much more slowly for him than anyone further away. This is a strange and frightening thought for us humans who spend our lives moving consistently forwards in time at the same rate (at least within our perception). In reality, you are ageing slightly faster at the top of a skyscraper than you are at the Earth’s surface – but the effect is too small to notice. It is, however, definitely there. General and special relativity are used to correct the time given by GPS satellites – they are in a weaker gravitational field than we are down on Earth, and so their clocks run slightly faster. Without this correction, GPS would not work. A geodesic is a path minimising line connecting two points on a sphere. Everything falling under gravity is following one of these lines in curved space-time. What this means is that under gravity, all things will accelerate at the same rate, independent of their mass. We see this on Earth, where that rate of acceleration is 9.81m/s. A feather and a rock dropped together reach the ground at the same moment (ignoring air resistance!). Next, Einstein deduced that an object in “free-fall”, i.e. 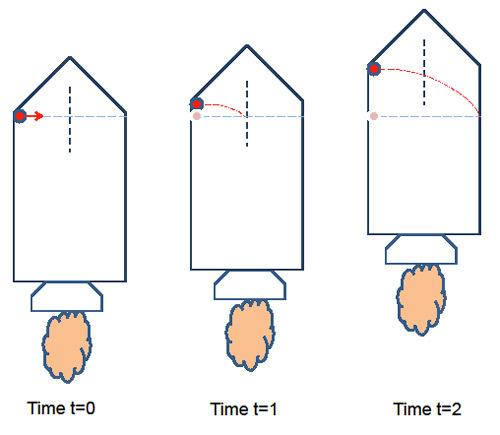 an object with only gravity acting upon it, is not actually accelerating – there is no force of gravity. This was actually one of those rare “my mind is blown” moments I had during my degree. 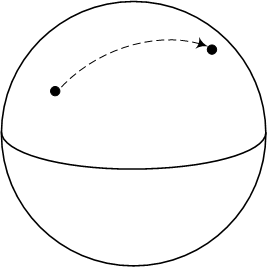 An object in free-fall is not accelerating – it is simply following a geodesic in curved space-time. A geodesic is the analogy to a straight line within curved space – think if it as the shortest path between two points on a sphere. 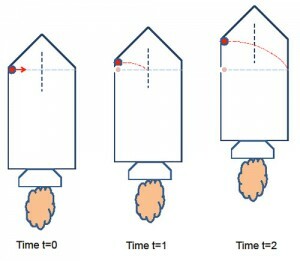 A beam of light in an accelerating rocket appears curved to an outside observer. This would be the same for a free-falling laboratory. Combining the principle of a freely-falling (i.e. travelling on a geodesic in a gravitational field) laboratory and applying special relativity introduces time dilation. The Pound and Rebka experiment is helpful to read up on for understanding this. By the laws of SR, both an observer inside the laboratory and one outside should measure the speed of light as c. Imagine a beam of light in the laboratory, the observer outside sees the path of light bend as the laboratory falls, whilst the observer inside sees a straight line as they are in an inertial frame. This means that for the outside observer, the light has travelled a longer (curved) path. As light always travels at c, the observer will deduce that more time has passed inside the laboratory than the person inside will measure. The stronger the gravitational field, the faster the free-fall, and the more the light will appear curved to the outside observer – so the time dilation factor increases with the field strength. 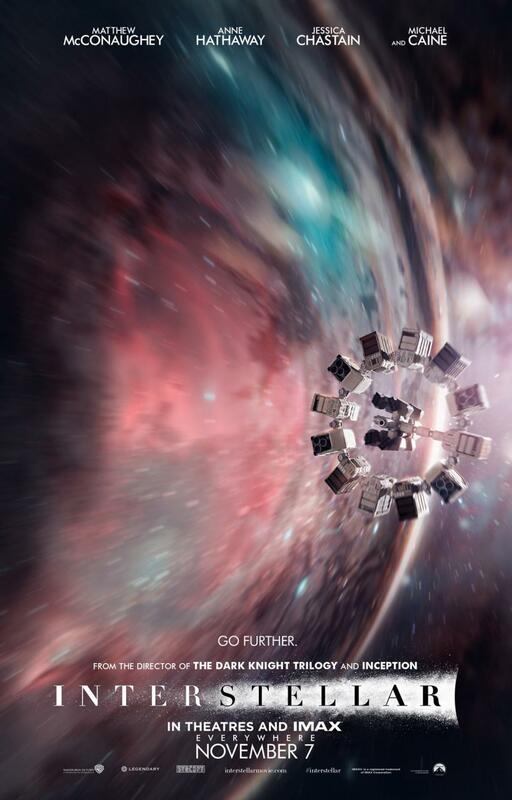 The strength of the black hole’s field in Interstellar means that minutes for Cooper become years for those outside. He is “free-falling” at an incredible rate, so his clock is running thousands of times slower than the ones on Earth, but it feels totally normal to him. He sees his own clock running at a normal speed, but he knows that the ones on Earth are running much faster. Emotions run high as every second he spends on his mission could be years he is missing of his children’s’ lives. I came out of the film an emotional wreck – I’d shed many tears and my chest felt tight, it was genuinely traumatic. Don’t get me wrong, I cry at a lot of films (I even cried when Gandalf died in Lord of the Rings, even though I’d read the books and so knew he was fine.) but I’ve never left one still feeling so upset. But that helps make it a brilliant film – not just the special effects, the beautiful images of space and stars and black holes, but the human reality; at the end of the day, it is just a father fighting to save his children. I strongly recommend you go see this film, whether you are a physicist or not. I could go on for a lot longer and discuss the paradoxes some of the wormhole travel introduces as well as some other puzzles, but that would reveal spoilers, so instead I’ll just stop here! Interstellar is heartbreaking, but also breathtaking, and also warns us to take care of our planet. It’s not so easy to find another, and for god’s sake don’t stop investing in science! Make sure you bring tissues.